Found: A Clash of Kings | Hello Saigon! 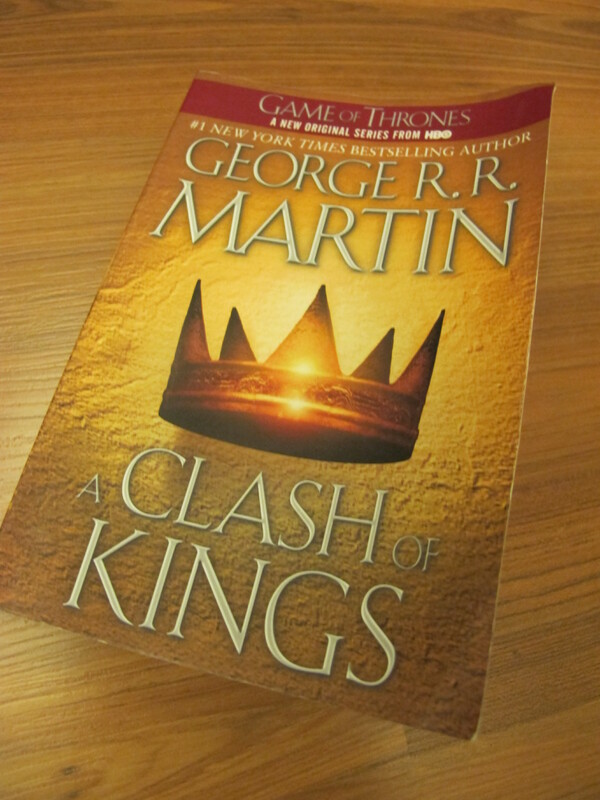 Thanks to Joojin for letting me have his copy of A Clash of Kings by George R.R. Martin! I was searching for Game of Thrones via my email groups and Joojin was kind enough to give me the second book in The Song of Ice and Fire Series. Although I’m still frustrated that the bookstores don’t carry the books that I’m looking for, I’m extremely delighted that a stranger would trust me with this rare copy in Vietnam. This entry was posted in Seen in Saigon, Spills and tagged A Clash of Kings, George R.R. Martin. Bookmark the permalink.